﻿ HuntingNut » Forums » Firearms, Shooting & Reloading » Reloading Ammunition » Best quality brass?? Posted: Sun Jun 29, 2014 7:24 am Post subject: Re: Best quality brass?? The problem I was having with my Winchester Mod 94 was a worn chamber in that the primers were backing out a bit rather then being reseated after firing by about .030". 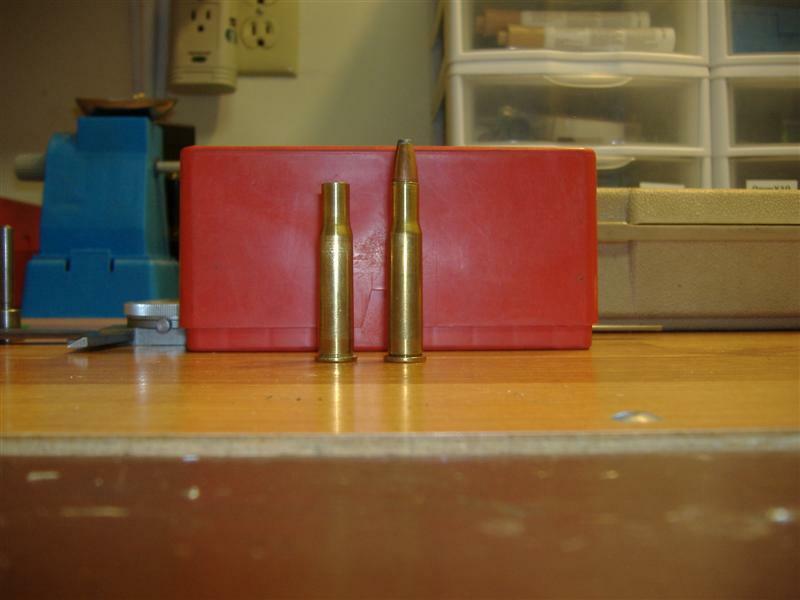 By setting my resizing die off of the shell holder (with a .30-30 case in the die) by .030" and form firing the case then resizing it again at the .030 offset it moved the shoulder forward and ending the backed out primer problem. It also increased the number of times I could reload the cases. If you look closely at the photo you can see the difference in the shoulder of the two cases. Posted: Sun Jun 29, 2014 11:48 am Post subject: Re: Best quality brass?? Wow Bushy-now you've got a 30-35! Posted: Sun Jun 29, 2014 1:03 pm Post subject: Re: Best quality brass?? 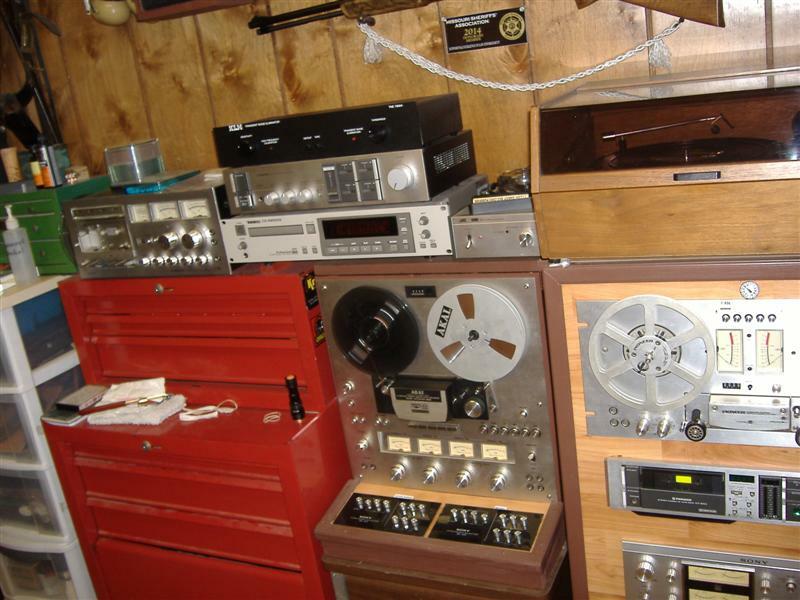 Bushy, where did the reel-to-reel and 8-track tape players go? Posted: Sun Jun 29, 2014 1:19 pm Post subject: Re: Best quality brass?? You will note that the case overall length are still the same. Just the shoulder has been moved. And just for slimjim. But I'm sorry. I don't have an 8 track player. Posted: Sun Jun 29, 2014 1:50 pm Post subject: Re: Best quality brass?? Very nice system, but do you think you might need to explain it to the kids? Posted: Sun Jun 29, 2014 2:19 pm Post subject: Re: Best quality brass?? Thanks, Bushy! Just think of all the extra space you could gain if you used one iPod instead!! Posted: Sun Jun 29, 2014 2:28 pm Post subject: Re: Best quality brass?? Explaining it to the kids is like the kids explaining ipods to adults. Slimjim. I doubt that an ipod could produce the sound that this system does. Besides...I have over 100 R-R tapes with from 4 to 8 albums per tape and around 100 R-R Quadraphonic tapes, one album per tape. Not to mention the records plus CDs that backup these tapes. Posted: Sun Jun 29, 2014 2:40 pm Post subject: Re: Best quality brass?? 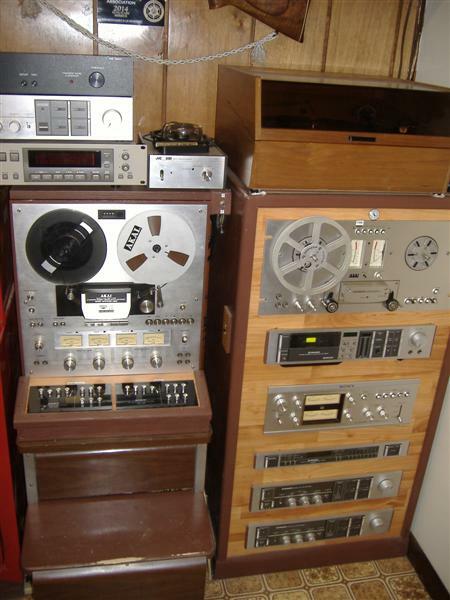 I have over 100 R-R tapes with from 4 to 8 albums per tape and around 100 R-R Quadraphonic tapes, one album per tape. Not to mention the records plus CDs that backup these tapes. There's the fortune you are leaving for your kids! Not that you will ever kick the bucket. Posted: Mon Jun 30, 2014 7:04 pm Post subject: Re: Best quality brass?? I simply screw out my sizing die and then run a case through. I load that case in the chamber and if I can achieve bolt close with just a bit of resistance I am happy. If no close I continue to screw in rhe die until I get close with that resistance. The goal is to eliminate case stretch. Cases that headspace on the rim are prone to case head thining, at least that is my experience. My 35 Remington is hard on cases if I full length size. There is a lot of gap between the case and the bolt face. Posted: Tue Jul 01, 2014 4:37 am Post subject: Re: Best quality brass?? I had the same problem with the .35 Remington in a T/C barrel. Factory rounds would barely fire and resized cases only fired on about a 40% average until I started sizing fired cases to headspace on the shoulders. I loaded medium-range loads with the bullets just lightly engraved by the rifling to hold the case against the breechblock so the brass flowed rearward to prevent case-head thinning and separation.